My first airshow was at Philadelphia International Airport in December of 1953. It was to celebrate the opening of the new airport terminal building. I was 14 years old at the time and I did not have a camera. From 1953 to 1965 I only had the memory of what aircraft were there. I remember looking into the air intake of an F-86D and the cockpit of a B-47. When I return home from Wertiem, Germany in 1965 were I served time with the 35th Field Artillery, 7th Army. I was invited to a slide show being put on by members of a local model building club. You could imagine my surprise when I saw photos from the 1953 airshow. I was introduced to the photographer. His name was John Funk, and he was a tail gunner on a B-17G with the 8th Air Force in England during WWII. When I told him I was at that show but I had no camera at the time, he said I could have his color slide collection. 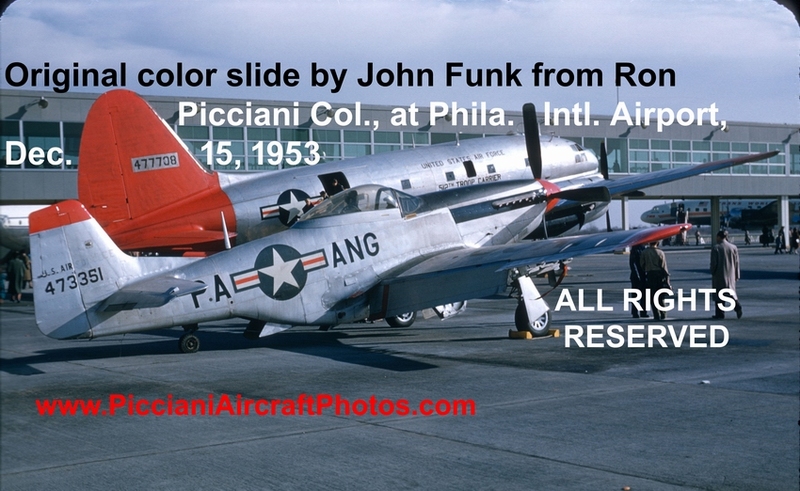 So in the Honor of John Funk, The December, 1953 Philadelphia Airshow. Copyright 2016 Picciani Airaraft Photos . All rights reserved.